Display your Alphas in style with this handsome companion piece to the Robotech Masterpiece Alpha Collection from Toynami. These finely detailed cold-cast porcelain sculptures can stand on their own as statues, or in their intended function as bookends to your collection of Robotech Masterpiece Alpha volumes. 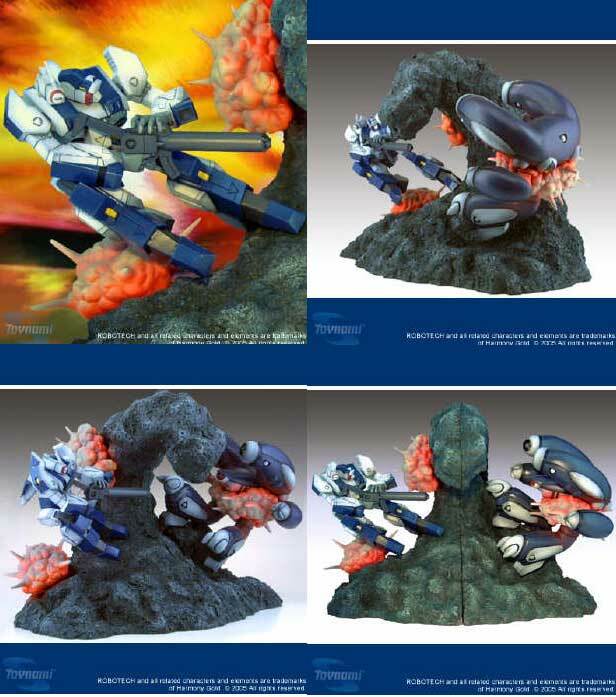 Each bookend (sculpted by Shin Tanabe) is approximately 8 inches tall, featuring an exciting battle tableau between Scott Bernard’s VFA-6H Alpha Fighter and an Invid Enforcer. Limited edition of 1,000.